If you were born under Jupiter in house 6 and don’t know what impact this has in your life, relax. We are here to help you learn a little bit more. The natives of Jupiter in house 6 are closely linked to routines, patterns, traditions, and everything that does not escape the general rules. They are very strict in what comes to changes in their lives, and they don’t believe in luck. Jupiter in house 6: what does this mean for you? Thus, they tend to be very organized and concerned about health and the basic issues of life, and they work hard to control everything in their lives, trying to avoid unexpected events. And because they do not like surprises or extravagances, they are usually that person in a group of friends who keeps warning about excesses. Those people that are most close to you know that the ones born under Jupiter in house 6 need to be useful so they feel better about themselves. These are people who like to give advices, so they do not miss the opportunity to give their opinion and make people understand it and even convince them about your point of view. They take everything they do so seriously, that they leave no room for error. As the very helpful people they are, the ones ruled by Jupiter in house 6 cannot be left unoccupied. Still, when they help, they kind of like to do things on their own way, as they thinks it is the better way. This is something to work on: to listen to the other people’s way of doing things and maybe it works out well too. 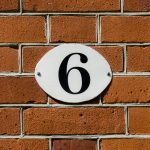 As they love to work, the people guided by Jupiter in house 6 find it easy to find out what career they want to pursue and find good jobs that truly value them and make them evolve both professionally and personally. Especially for being people who love to work, you must be aware on this new cycle not to overload yourself, not only with work but also with the energies and problems of other people. Learn to optimize your time more for yourself and do not push yourself to the limit in situations that you cannot solve or control. You must keep in mind that the most important thing must be your happiness and the search for your dreams. Each person needs to learn to live their own life and you are not to live the lives of others, so you can avoid their suffering. Remember, that every stone in your way is a chance to learn and grow and it wouldn’t be there if you were not capable to overcome it. Be present, be an example, but above all, be happy with yourself and dedicate more time to yourself, this will be fundamental in this new stage. Also, keep your stability as always. This will help you stay strong and confident of yourself and your capabilities. The way you are and your path comes exactly from being in connection with yourself. So keep your critical side and your intuition always awake and let them guide you.